To date, the Black Sea has no LNG terminal. Romania and Ukraine each harbored plans to build the first LNG terminal in the Black Sea: Romania at Constanta (land based) and Ukraine at Odessa (FSRU). However, there has been little progress in practice since these plans were first announced. Romania’s project (Constanta/AGRI LNG) has a potential start-up date in 2026, at best, since Romania’s priority is to complete the BRUA corridor and kick start its own gas production in the Black Sea. Paradoxically, Romanian officials still say that AGRI is on the table, although it is all but officially declared dead. Ukraine’s project is not under any development, having been frozen five years ago with no expected date in sight for its possible start. In essence, both LNG projects have quietly faded into oblivion. 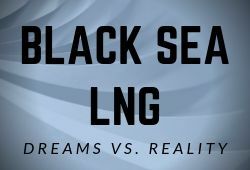 The super charged Black Sea geopolitical climate, as well as Turkey’s refusal to allow LNG tanks to pass through the Bosphorus Strait make the prospect of building an LNG project in the Black Sea a very distant one. This Special Report offers an up-to-date assessment of Romania’s ongoing defense modernization effort. The programs analyzed here belong to all three branches of the Romanian armed forces: Land forces, Air forces and Naval forces. All these programs aim to enhance capabilities in terms of armor, mobility (transport helicopters, 4x4 vehicles), firepower (artillery, anti-tank weapons, attack helicopters and small arms), logistics, communications, aerial reconnaissance, air defense, anti-submarine warfare (ASW), anti-surface warfare (ASuW) and maritime security. The report is structured along capabilities. It weighs the pros and cons of the acquisition programs and discusses NATO interoperability. The equipment analyzed includes: battle tanks, armored personnel carriers, infantry fighting vehicles, artillery, 4x4 armored vehicles, anti-tank capabilities, small arms, command and control systems, UAVs, helicopters, multirole fighters, advanced trainer program and ground based air defense (long range and short range systems). 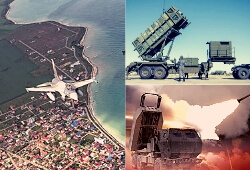 Romania is among the top NATO countries in terms of defense spending (almost 2%), however, poor management of some acquisition programs has resulted in serious delays (corvettes, frigates, multirole fighters, coastal defense systems, 4x4 armored vehicles, and tactical drones). The Romanian energy sector is in need of massive investments. 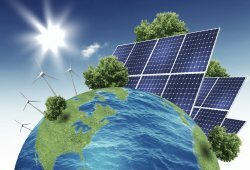 The latest draft of Romania’s energy strategy puts the investment requirement for the period 2018-2030 between 15 and 30 Billion EUR. Both Transelectrica and Transgaz have ambitious investment projects planned, about to begin or under development. 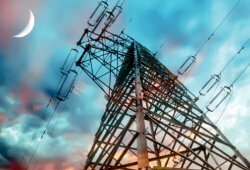 Transelectrica is a member of European Network of Transmission System Operators for Electricity (ENTSO-E) and Transgaz - a member of European Network of Transmission System Operators for Gas (ENTSO-G). Both sectors are in the process of implementing the Network Codes. Development of hard infrastructure, as well as the implementation of network codes seems more advanced in electricity than in natural gas. 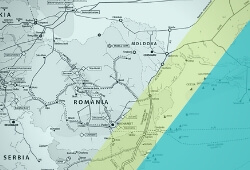 Romania’s gas infrastructure development has received significant attention since the discoveries of natural gas in the Romanian sector of the Black Sea, but the missing links in gas interconnectivity with its neighboring continue to affect the region. Thanks largely to European Union support (EUR 179 million grant), in 2018 construction work has finally started on BRUA pipeline. In 2016, the Giurgiu-Ruse gas interconnector between Romania and Bulgaria was completed (3 years behind schedule). Romania’s huge delay in construction of gas infrastructure has even triggered an investigation from the European Commission in June 2017. So, how much of this is due to administrative bottlenecks, real technical issues, political interference, lack of financing, or misguided priorities? The story of Romania’s offshore gas reserves has received significant attention since 2012, the year of the biggest discovery in the Romanian segment of the Black Sea. However, this success found Romania quite unprepared for a new hydrocarbon boon. Successive governments dragged their feet on the key issue of mineral resource taxation, time was wasted, while a coherent government policy on the stewardship of Romania’s mineral resources has yet to be formulated. The text captures in broad strokes some of the main underlying causes that lead to the situation in which Romania finds itself today, with FIDs in the Black Sea under threat of not being taken right before the Black Sea gas production should start. Who is to blame? 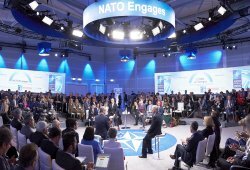 This July I attended “NATO Engages – the Brussels Summit Dialogue” – the official outreach event of the NATO Summit. Co-located and taking place at the same time (July 11-12) as the actual NATO Summit, the event was organized by Atlantic Council, the German Marshall Fund of the United States (GMF), Munich Security Conference (MSC), Women in International Security (WIIS) in Brussels, in partnership with NATO’s Public Diplomacy Division. A powerhouse event with two full days of intellectually stimulating discussions on the current and future challenges for the Alliance, the event featured a fantastic line-up of speakers ranging from presidents, prime ministers, NATO officials, CEOs, think tank, military and government analysts. Faced with a growing Russian military threat in the Black Sea, Romania has decided to increase its defense spending and modernize is military capabilities. In 2017 Romania began an ambitious ten year re-armament program worth € 8.9 billion, part of the pledge made to its NATO partners to spend 2% of GDP on defense. This analysis takes a look at the naval refurbishment program that Romania will undertake in 2017-2026. 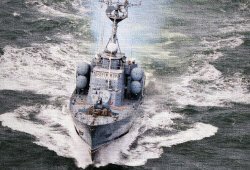 It examines the components of the naval modernization program from the perspective of the capabilities they will offer to the Romanian Naval Forces and of how they compare with current and future naval threats in the Black Sea. While the level of ambition reflected in these programs varies a lot, the current acquisitions will reinforce the deterrence value of Romania’s fleet. Already in 2014, overall Renewable Energy Sources (RES) use was 26% in Romania and 18% in Bulgaria, more than their respective targets for 2020 (24% - Romania, 16% - Bulgaria). 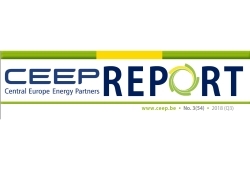 According to the 3rd RES Progress Reports, in Romania RES have the biggest use in electricity production (44% in 2014), followed by heating & cooling (28%) and the lowest use in transportation (4.5%). In Bulgaria, RES have the largest share in H&C (28%), followed by power generation (18.9%) and transportation (5.3%). Both countries have achieved their 2020 targets of RES in final energy consumption ahead of time. During the period 2013–2014, nor Romania nor Bulgaria used cooperation mechanisms such as statistical transfers, joint projects and joint support schemes (no statistical RES transfers to or from other EU Members States). 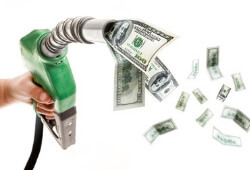 A capacity mechanism creates a two commodities market: one for energy and one for availability of energy. Romania’s electricity market was designed as a very competitive energy-only market. Officially Romania does not have a capacity mechanism notified to or approved by the European Commission. However, in 2013, before the adoption of the new Environmental and Energy State Aid Guidelines (EEAG) - which came in effect on July 1, 2014, the Romanian government adopted Government Decree 138 which was advocated as a Capacity Mechanism. Since it pre-dated the adoption of the EEAG in 2014, it hasn’t been notified to the European Commission. Consequently, since mid-April 2013 until December 2017, in Romania there was a measure in place that functioned as a Capacity Mechanism, but was in effect a masked state aid to coal power plants granted without public consultation and an adequacy assessment, in short - a support scheme which managed to stay under the radar of the European Commission. Is there a real need for a capacity mechanism in Romania? Only an in-depth adequacy assessment can answer the question. At EU level, Romania is a junior in innovation. Insufficient funding aside, a more damaging factor are the self-created domestic obstacles, by which legitimate research is over-shadowed and/or squeezed out by weak projects draining a significant part of the national funds. Given the inefficiencies of national funding mechanisms, the main driver of innovation (in all sectors) are the European policies and funds. There are a few high-prestige R&D projects (such as the ELI-NP - Romania’s star public research project) in what otherwise could be described as a sea of yet-to-be-fulfilled potential. 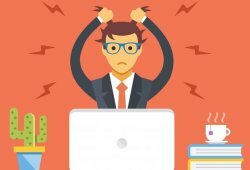 There could be so many more high value-added projects, if only Romania cleaned up house and enforced strict integrity and accountability rules in its academic and research establishment. That means not only pressing ahead with serious research, but calling out the impostors and a zero tolerance towards plagiarism.